It’s happened, it’s here and we can’t contain our excitement or keep it a secret any longer… after several months of negotiations we are delighted to inform you that we have a brand new studio premises and we couldn’t be happier. We have been in here busily working away since 1st August and we are pleased to say that our new studio is coming together nicely. We have a stunning wood flooring which is down. We have some nice big prints for the walls on order and the backdrops in the studio are going up at the beginning of next week. 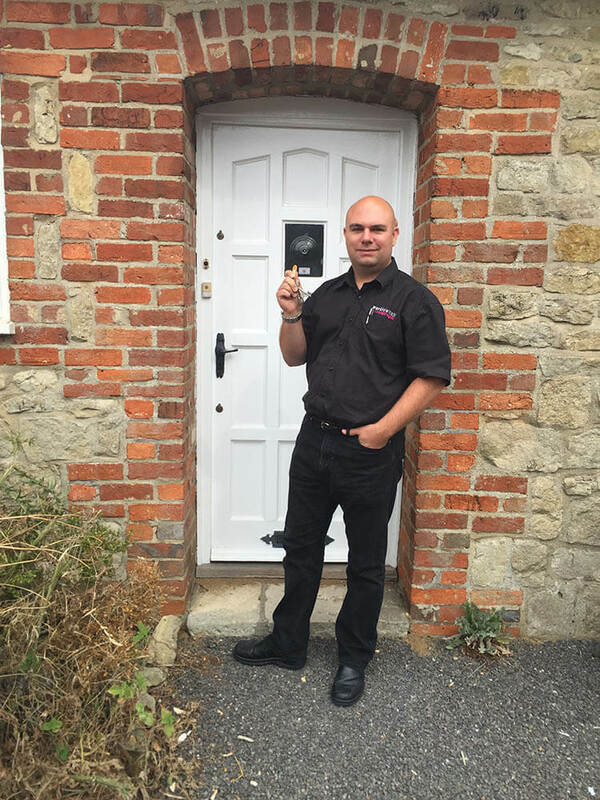 Mark Hewitson with the keys to his new studio at Milton Common, Thame. Our new premises consists of a beautiful reception area, a huge studio room and a dedicated viewing suite. We love it and we are sure you will too. So where is this awesome place? Our new studio is conveniently located just off of junction 7 of the M40 and with easy access from High Wycombe, Thame, Oxford and the surrounding areas, we couldn’t be easier to get to. To see our location, simply visit the book now page which will show you a map.